If you want to see all of the blogger mail and subscription box unboxing then follow me on Instagram (@ofbeautyand) because I show everything on my stories! I always love receiving the Glossybox boxes every month as they contain so many wonderful items and I've genuinely loved some of the items I've received so far and this box is no different! This box is a little late but I'm glad that I've received it because the box theme is so unique, under the sea. The theme leaves the door open for lots of summery products which is very appropriate for the heatwave we've been having over the past month or so in the UK. There are six items within the box featuring brands such as Hawaiian Tropic, Crabtree & Evelyn, Oriflame and more. Let's start with the one disappointing product in the box, for me anyway. Oriflame is a brand I haven't tried before but I have heard pretty good things on the whole. The mascara claims to lift, curl, volumise, lengthen and separate lashes but for my lashes it only defines and separates. 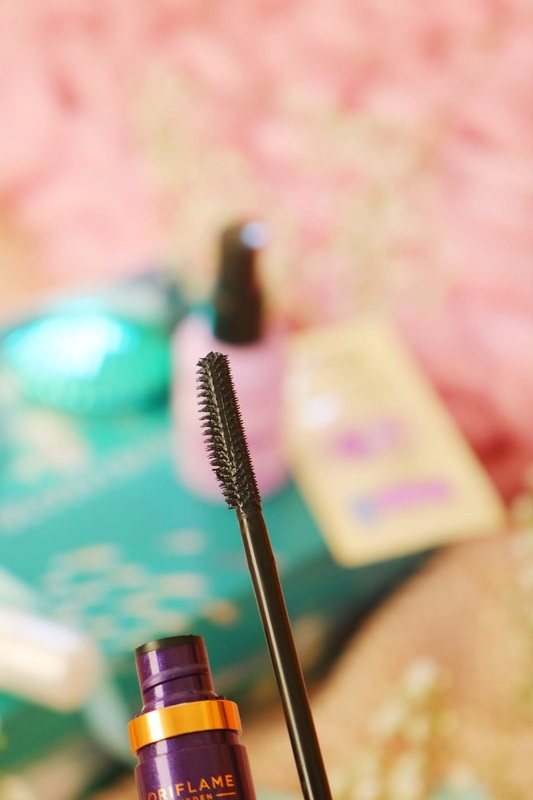 The one thing I'm always looking for in a mascara is volume and this one doesn't do it for me; however, if you do love a lengthening, separating and defining mascara then you'll love this! One item that is ideal for me is a travel sized toothpaste as I have a couple of trips planned for August including a weekend away in the Lake District and a cruise as well as a couple of day trips and maybe a night camping! I have tried a toothpaste from this brand before and liked it so I'm glad to have another - the timing is perfect too. 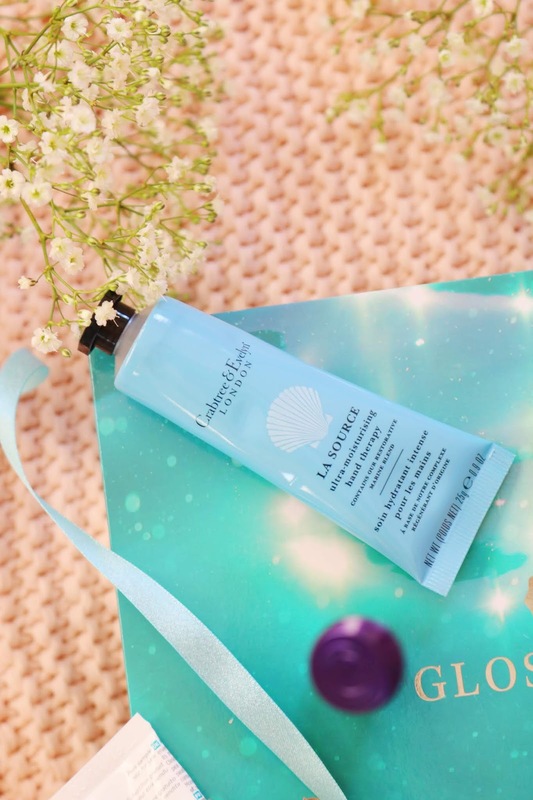 The second mini included in the box is another that is ideal for summer holidays as it's a sun lotion from a very reputable SPF brand. I have heard great things from other bloggers about this particular sun lotion as it smells amazing (and I have to agree). This theme is just perfect for the upcoming summer holiday season as we have another ideal summery product, a sea salt hair spray. I adore the packaging for this product, it's so cute! I also like the scent although I think it will be a marmite aspect of the product. I haven't tried it yet but I can't wait to, especially when I have my hair cut short next month - I'm getting close to 10 inches cut off and donated to the Little Princess Trust. The penultimate item is one of my favourites from the box, although to be honest, I'm love all but one of the products in this months box! Crabtree and Evelyn is one of my favourite brands and their hand creams are so lovely - I've tried a couple already. This mini size is going to be perfect for my handbag and I will be taking it on holiday with me next month. The final item is the most adorable makeup brush I've ever seen! Along with mugs and books, I have a habit of hoarding makeup brushes so I always need more especially when they're so cute. This cheek brush, that would be ideal for cream blush, bronzer or highlighter, is the most adorable and uniquely designed makeup brush I own. 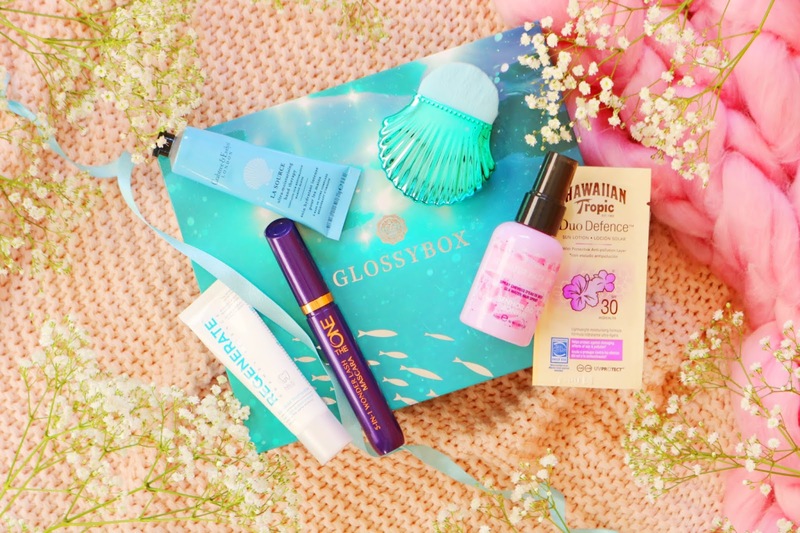 What do you think of the July Glossybox? Looks like such a good box! That brush looks so good. The packaging is beautiful. The brush is the cutest thing ever. I have a similar shell brush and it is gorgeous! I love the theme of this box! And I adore the box itself too. I love discovering new brands in boxes! OMG! I love the theme of this one!! This theme is the cutest! The shell brush is gorgeous. I love the design of the box and the brush is so cute! The brush is very cute! I love the theme of this box, so summery! What a great box to receive! worth it for the little brush alone, it is SO cute! Love the Crabtree & Evelyn products! Their hand treatments are beautiful.